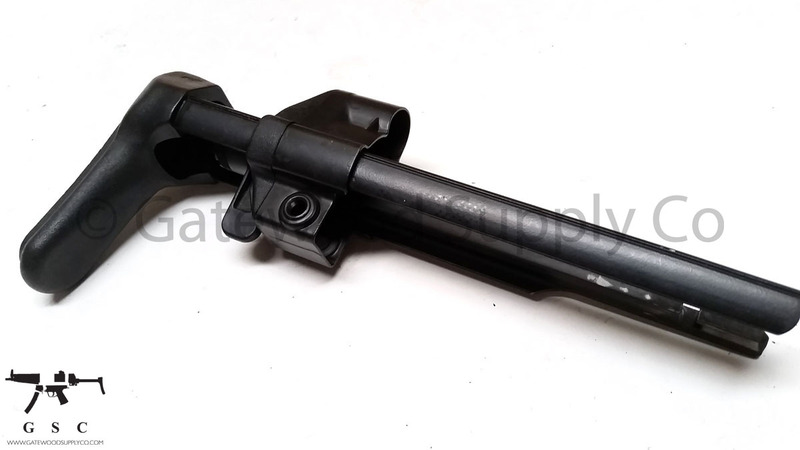 This listing is for a factory German HK MP5 / MP5-40 stock with bold hold open cut. This model has 2 positions. Fully open, and closed which is not the full length of the rail, which extends the rear buttplate of the stock roughtly the same length out as the F-stock body for a slightly longer LOP when open. 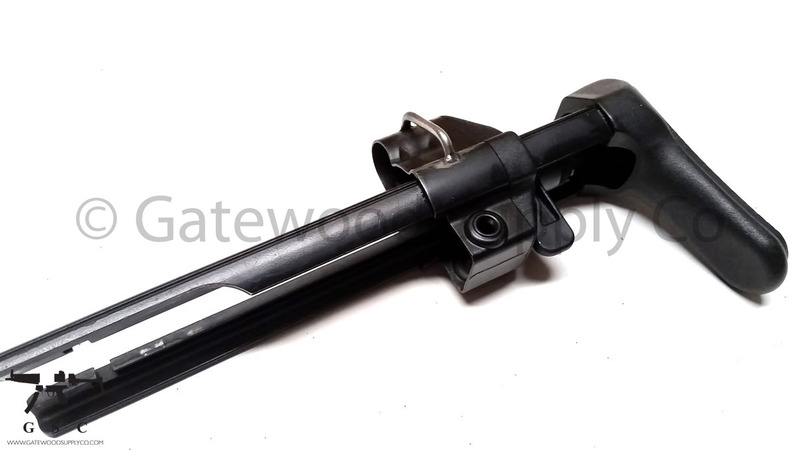 This unit does not have a notch to fully close to the length of a HK93 receiver length, however it can be used with the Hk53 / HK93 platform in conjunction with a buffered carrier.